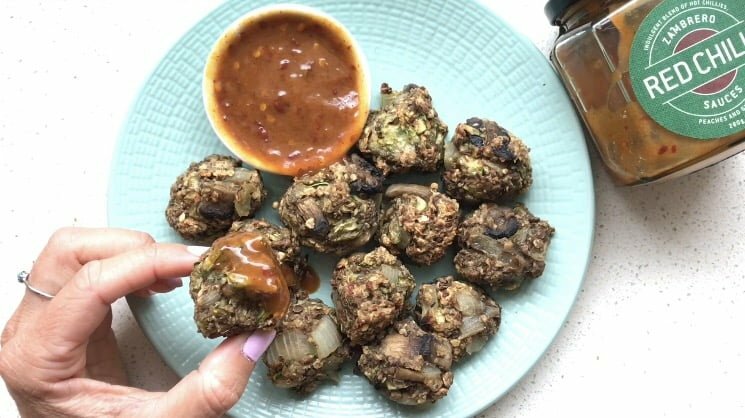 These Vegan “Meatballs” taste so delicious that no one will guess that they are extremely healthy and made with just lentils, veggies & the new spicy Red Chilli Sauce from Zambrero. They can be served with pasta, tossed through a salad, on a wrap or sandwhich or even as a nutritious snack dipped in Zambrero‘s Red Chilli Sauce. Heat oil on pan. Add onion & brown. Add mushrooms & lentils. Heat for a few minutes. Set aside. In a small bowl, mix chia & water. Set aside. In a large bowl, combine cooked lentil & onion mix, chia, oats, zucchini & Zambrero Red Chilli Sauce. Mix until combined well. 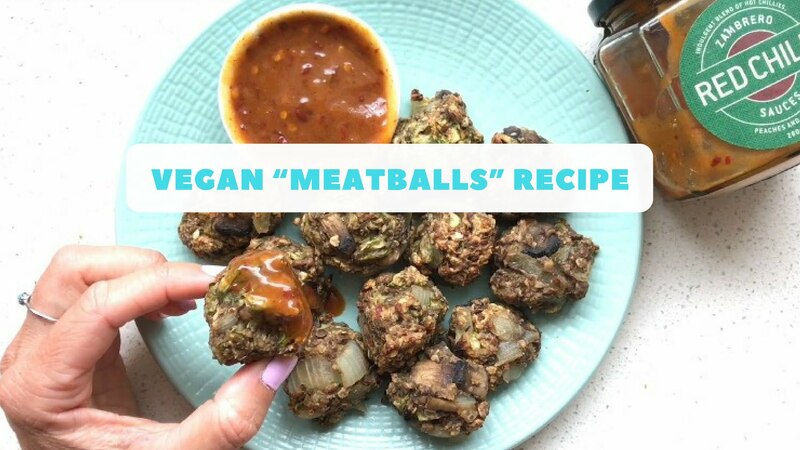 Roll into balls with hands & place on an oiled baking tray. Bake for approximately 10minutes or until golden brown. Note – Red Chilli Sauce is available for purchase from Zambrero. Sponsored Content: This article is proudly sponsored by Zambrero. Why? Because I love Zambrero and only recommend companies/brands/products that I truly believe in and who share the same approach to health as I do. All opinions are my own and not influenced in any way.